VW is adopting simplicity as the guiding principle for its future EVs, such as the I.D. Crozz, shown here as a concept at the 2017 Frankfurt auto show. BERLIN -- Volkswagen is looking at Apple products for guidance on how to style its new generation of electric cars, its top designer said, as the automaker aims to turn profits on battery-powered vehicles when they launch in 2020. Apple has brought about a design aesthetic with its iPhone and iPad that set it apart from rivals such as Samsung Electronics and Sony and helped make it the most valuable company in the world. 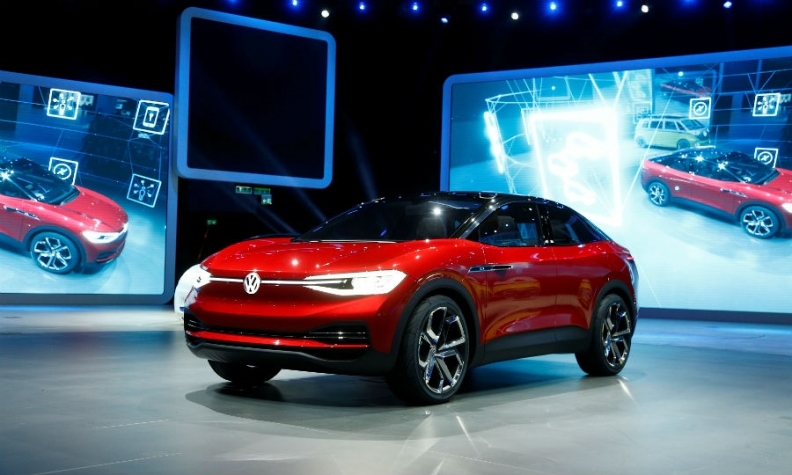 For VW, adopting simplicity as the guiding principle for future styling of electric vehicles marks a departure from the era before its 2015 diesel-emissions scandal, when vehicle design conveyed the German automaker's engineering prowess and technological ambitions. 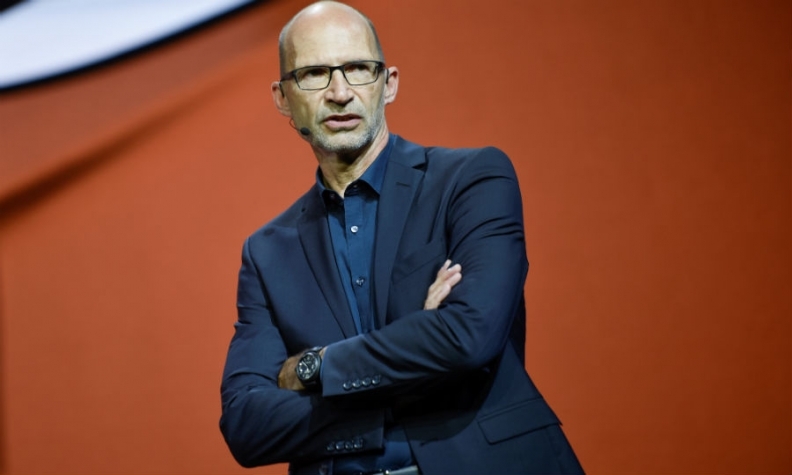 "We are currently redefining the Volkswagen values for the age of electrification," Klaus Bischoff, head of VW brand design, said in an interview. "What’s at stake is to be as significant, purist and clear as possible and also to visualize a completely new architecture." With regulators slashing emissions on a fast timetable, the VW diesel scandal has also energized the costly shift to EVs that is necessary to compete in China, the automaker's largest market, and to avoid future fines in Europe. The VW brand alone will spend 6 billion euros on a new modular platform dubbed MEB designed to underpin over 20 purely battery-powered models such as the I.D. hatchback, I.D. Crozz crossover and the I.D. Buzz microbus. Bischoff: "Today is the most exciting time of my career." He became famous through a video shot at the 2011 Frankfurt auto show that has since drawn over 2 million hits on YouTube. It showed Bischoff being yelled at by former CEO Martin Winterkorn, who was inspecting a model by South Korean rival Hyundai and had discovered something that had displeased him.